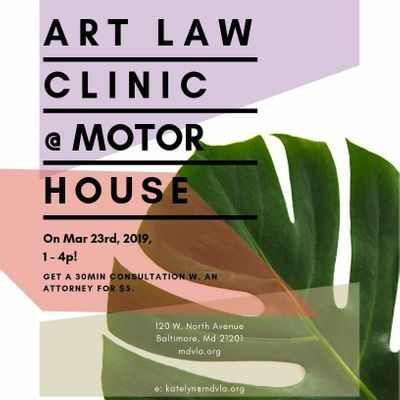 Are you a painter, musician or any kind of artist that lives or works close to the Baltimore / DMV area? Do you have legal questions or concerns? 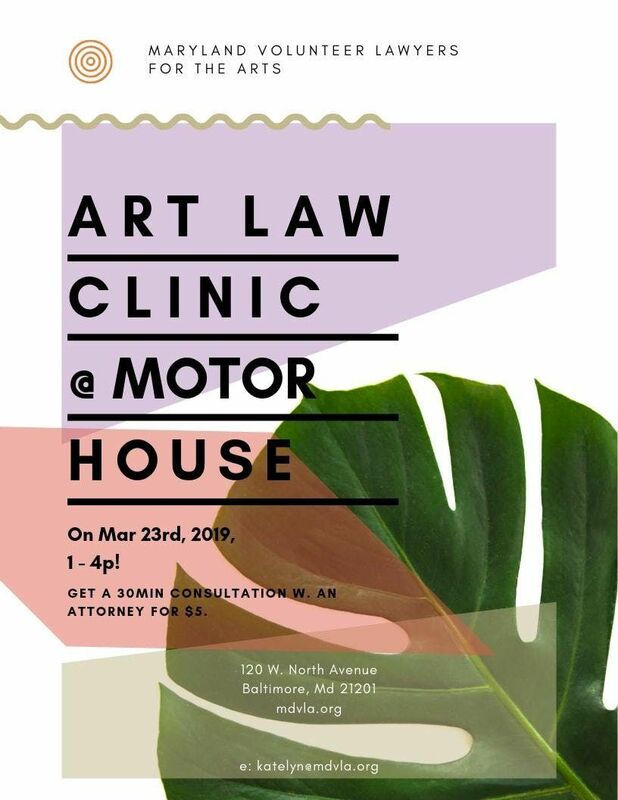 Come visit our Art Law Clinic on March 23rd, 2019, 1-4pm at Motor House! For $5 you can snag a 30 minute consult w/ one of our volunteer attorneys to sort out any general issues or questions you might have!